Nike releases new sports bra featuring adaptive technology. Nike releases functional sports bra designed to adjust to variable training demands. Nike has released its Motion Adapt Bra, a sports bra featuring adaptive technology. As training methods continue to diversify, the need for a bra that works with every workout is greater than ever. sports performance brand asserted that, with this evolution in mind, it designed this hyper-adaptive bra to adjust to any demand an athlete’s training requires. Though fundamental in appearance, the bra’s hidden technology is what enables its functionality. Its interior features an adaptive material made up of a unique foam and polymer hybrid. This brand-new advancement stretches at rest to form to one’s body, then locks out when it senses impact. Basically, it’s comparable to how a seatbelt works. Rapid movement causes the material to become more supportive, while reduced activity allows it to relax. According to Rendone, because of the bra’s relaxation capability, wearers will be able to sense that it’s not going to constrict them during higher-intensity movements. 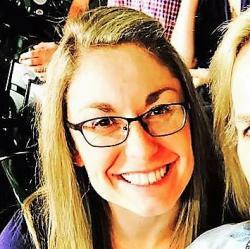 However, she said that once the wearer flips the switch towards more demanding exercise, she will realize she’s not moving as much as she would in another bra. To maintain ventilation and breathability, designers inserted a mesh panel up the racerback and added perforation to key sweat zones in the front. The highly-supportive innovative material is solely located across the chest. The Nike Motion Adapt Bra has been extensively tried and tested at the Nike Sports Research Lab. Designers put the bra through high-velocity biometric testing on elite and everyday runners. 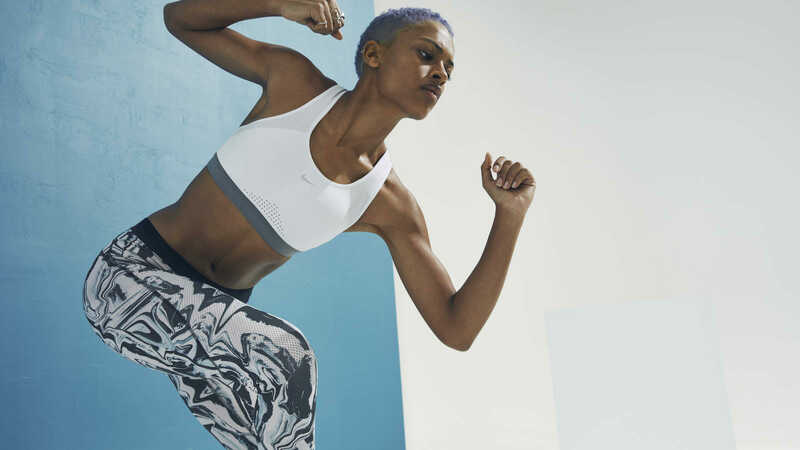 Nike’s Spring 2018 sports bra collection includes 15 styles, in addition to the Nike Motion Adapt Bra – nine of which are brand new. Each offer a full range of fit, support and style to meet any athlete’s needs. The collection is currently available online at nike.com and at select retailers.